In 2008, Vlasto with the assistance from Paul W. Bucha, recipient of the Medal of Honor, Vietnam 1968, and Morton Dean, former Anchor and correspondent for CBS and ABC News, formed the Homer L. Wise Memorial Committee to raise funds and successfully erected a Bronze Statue of World War II Medal of Honor Recipient Master Sergeant Homer L. Wise. 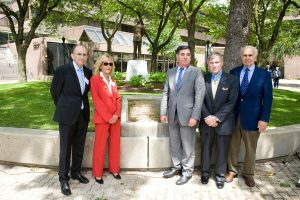 The statue was dedicated on May 26, 2013, in Veterans Park in Stamford, Connecticut. James said about the effort to erect the statue: “Not only will this statue beautify our park but will stand as a reminder, for us all; and our future Stamford citizens, of the modesty and humility which were and are the true qualities of our brave Americans, who serve our country and fight for our freedom, so we can lead safe and fulfilling lives. We thank and remember our editor, James S. Vlasto for his worthy and steadfast commitment to remind current and future generations of the extraordinary heroism of the Medal of Honor recipients. James S. Vlasto, was a public relations and political adviser to New York politicians and public officials over six decades. He passed away on Thursday, January 19, 2017, in Manhattan. He was 82. 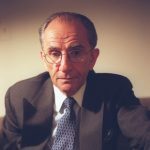 He was a well-known political public relations professional, strategist and advisor with a career spanning nearly six decades. 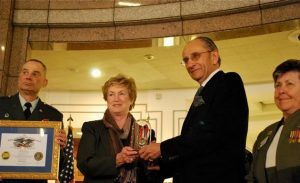 He was veteran of a high-profile political campaigns and served in senior federal, New York State and New York City government positions, including Press Secretary to NY Governor Hugh L. Carey, to NYC public schools chancellor Joseph A. Fernandez and to NYC Public Advocate Betsy Gotbaum. He was born June 11, 1934, to a prominent family of Greek descent, the son of Solon G. Vlasto, publisher of the Atlantis, the first Greek language daily newspaper published in the US. He attended NYC public schools, the Hackley School in Tarrytown, Greenwich High School and Columbia University School of General Studies. He served two years in the US Army in Japan following the Korean War. He joined the Atlantis 1956 after his military service, working on the business side, as a reporter and then as managing editor, leaving in 1964 to join the campaign staff of Senator Kenneth B. Keating of NY. He held positions in Nelson A. Rockefeller’s 1958 campaign for Governor, the campaign of Louis J. Lefkowitz in the mayoral election of 1961, and the 1962 re-election campaign of Senator Jacob K. Javits. Other campaigns included Franklin Delano Roosevelt, Jr.’s 1966 challenge to incumbent Governor Rockefeller, Herman Badillo’s 1969 and 1973 mayoral campaigns and Richard L. Ottinger’s 1970 senatorial campaign. His public relations firm, Vlasto & Co., represented various corporations and non-profit organizations including Touche Ross and the New York City Partnership. He is survived by his son Christopher, who is executive producer of “Good Morning America” on ABC, daughter, Tima Vlasto, both from his first marriage; a son from his second marriage, Josh, who was press secretary to Gov. Andrew Cuomo and Senator Chuck Schumer; and four grandchildren. ~ Many thanks to Carol Francescani for her editorial assitance. 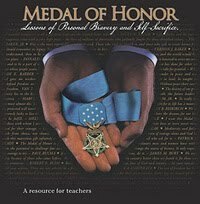 Medal of Honor News has over 350 articles about Medal of Honor recipients as well as educational resources for teachers and updated events. From its launch on February 15, 2011, MoHNews has over 150,000 unique visitors and 250,000 pageviews. The site was acknowledged as a source for The New York Times and its followers include the White House administration. Though mostly run on a volunteer basis, the modest costs to continue updating Medal of Honor News is about $100 a month and $120 a year for hosting and domain. 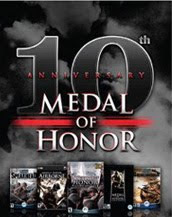 If you would like to leave a small donation in order to maintain the hosting and future updates of Medal of Honor News as an online educational resource please click the donate button below. It will lead you to a PayPal donation page. If you have any questions or comments, please use the contact form on the website. We will do our best to carry on Jim’s legacy and commitment so that our heroes from the past and in our future will not be forgotten. 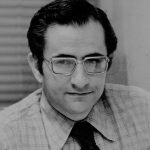 If you have a tribute or memory that you would like to share about James S. Vlasto, please click the button below. Messages are moderated and may take a day to be posted. Thank you, Medal of Honor News. Jim was a true professional -- always straight-forward -- and a gallant, gracious man. I met him when he was working for the Board of Education and I was covering it. Our relationship could have been difficult, but he was always cordial. Even after retiring, he would reach out from time to time with tips and advice. I was grateful and touched. Jim ranks on the top of the list of selfless individuals who never failed to rally to a great cause or help a friend. Every meeting with Jim ended with encouragement, a smile and a better outlook on life. His passing creates an enduring gap not just for his family but hundreds, if not thousands, who were fortunate to meet him. I "met" Jim when I learned of his efforts on behalf of Homer Wise. SSG Wise was my father's platoon sergeant in the Italian campaign. He fought with Sergeant Wise in the battle for which SSG Wise was awarded the Medal of Honor. Theirs was a life-long friendship that was forged in valor and combat. Jim was as committed to preserving the honor due SSG Wise as anyone could be. His dedication and loyalty were genuine, qualities which seem to be in short supply. It was a pleasure to have made his acquaintance. To his family and friends, I am sorry for your loss; however, there's a touch of envy, too. He must've been a great father and a great friend. I met Mr. Vlasto when he asked the District Attorney of New York County to look into the death of his elderly uncle under suspicious circumstances some years ago. At the time, I was a prosecutor in the Rackets Bureau and met with Mr. Vlasto once I was assigned to the investigation. Mr. Vlasto was generous with his time and made every effort to ensure that justice was served. He was always kind and thoughtful in the years that it took to bring this matter to fruition. Jim and I were neighbors and friends. We first met when we both worked at the Board of Education but didn't develop a friendship until years later when we were both retired and kept running into each other on our street. With mornings free for leisurely pursuits we would meet for coffee and discuss world and national events, the discussions were lively and his knowledge encyclopedic. Beyond that he was a dear friend who I miss greatly. The thought of never bumping into him again in our neighborhood or finding a new email from him with breaking news in my inbox fills me with sadness. I met Jim in the early 1970s when I was looking for a job. I could type and write. His secretary had just departed so I filled the bill. He taught me PR and continued to be a steadfast, inspiring mentor throughout my career and a model of integrity in a tough business. There has never been a more supportive, loyal, generous friend. Jim's persistence in promoting our battle heroes was characteristic of his approach to friends, clients and causes. My husband Charlie, a WWII veteran and POW, became a favorite consultant as Jim pursued details about the war. We were the recipients of many articles and pictures concerning B17s. It is hard for me to refrain from dialing Jim's phone number every time I want to ask questions, share memories (so many!) or vent. It's a habit I'm not sure I want to break. How I miss him! I had the honor of working for Jim at the New York City Board of Education under Chancellor Joseph Fernandez. It was during this time I first learned about public relations and its impact. 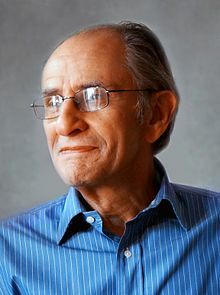 He was a master in his field and a wonderful mentor. Both my daughter and I came to love him very much. He always brought a smile to my face when we spoke. His salutation was, "How you doing kid". ( I am 65 years old.) We will miss him. I write a weekly blog and met Jim in the cyber world, We exchanged comments frequently and I finally met Jim in person a few weeks before his death .. we sat in Beacon Bar for a couple of hours sharing experiences and spinning stories. Glad I was able to meet Jim, his Medal of Honor work will last .. my condolences to family and friends. I worked with Jim when he was consulting a business organization I worked for. Saw and spoke with him a number of times as he was a close friend and associate of my dear friend Carol. Jim had a impressive and distinguished career. I especially admired his tireless efforts to memorialize those who fought for our wonderful country. I worked with Jim in the office of Governor Hugh Carey in 1977-78. Jim hired me. In a lifetime of many bosses, Jim was the best boss I ever had. We lost touch and got back in touch years later. He was a good friend, a good lunch companion, and a man of principle and dignity and strength of character. I will miss him. I am grateful to Mr. Vlasto for his help in writing the life story of Homer Wise. His gracious willingness to share his research with me is most appreciated. Sgt. Wise's story will be included in a book I'm coauthoring titled "From The Forests To The Battlefields". This book features the life stories of 40 Civilian Conservation Corps enrollees who went on to receive the Medal of Honor in WWII. (Homer served in two CCC camps in Louisiana)My condolences to James Vlasto's family and friends. I am very sorry to hear of your loss. I met Mr. James Vlastos while working in the Rackets Bureau of the District Attorney's Office of NY. Mr. Vlastos was a tireless advocate seeking an investigation into the death of his uncle who died under suspicious circumstances. Mr. Vlastos's determined advocacy led to a reopening of the investigation and a successful prosecution of the woman who had married the elderly relative of Mr. Vlastos, and recklessly drugged the elderly gentleman while emptying his bank account. Mr. James Vlastos was a man of culture, who was endowed with great patience and persistence. I feel privileged to have known him. May he rest in peace. A great man. No better friend. In 2008, my father mentioned his efforts to honor a family friend and hero, Medal of Honor recipient Sgt. Homer L. Wise. I heard him mention Homer once in a while, and assisted his research to find video footage and information in various libraries and archives to document the history of this hero, the battles fought and the whereabouts of some of his medals which were lost, including the Medal of Honor, the Silver Star, two bronze stars, three purple hearts and ten other decorations..
Sgt. Wise died in 1974 and news reports published over the years in the Stamford (CT) Advocate revealed that the last known location of Sgt. Wise’s medals were in the collection of the renowned military medal collector Evans Kerrigan who died in 1998. His widow has no recollection that her husband had Sgt. Wise’s medals. We never found them. After many months of watching terrifying archival war footage and reading hundreds of citations, I finally understood why my father was so committed — and with such fervor — to make sure future generations will be reminded of these men and women who under some of the most horrific conditions, could show such bravery, humanity and selfless sacrifice. These were real men and women — not footage from Hollywood movies. More than any philosophical, religious or spiritual books I read, here were astounding acts of love and transcendence. Over the years, during difficult times, I would remember their stories and read their citations. If their stories could inspire such strength and inspiration in me, I understood why my father wanted a statue of one of these heroes in a prominent place in the middle of a city, so children in the future would inquire, learn and be inspired as well. When Dad was half-way through his campaign to erect the statue for Homer Wise in Stamford, his offline fundraising efforts had reached their limit. 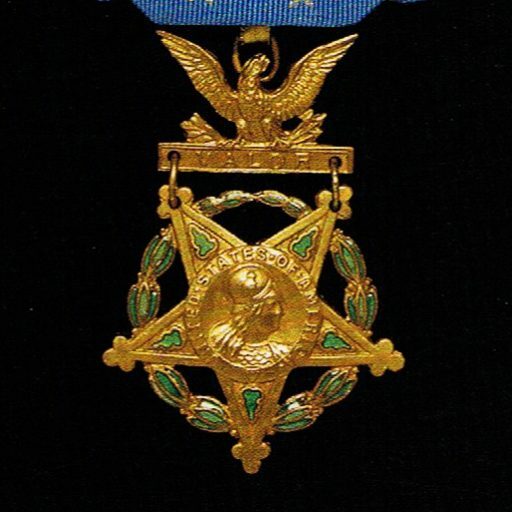 I offered to build a website for him, so at least all of his research about the Medal of Honor recipients would not be lost and even if the statue never was erected, at least there would be an online reference and news source to bring awareness. Dad was very committed to the site and became very tech-savvy at 77 years old, learning Twitter and Google Analytics in a very short time. The site grew very quickly with over 150,000 viewers. As the great public relations representative and adviser he was, he kept up to date on all veteran issues, and kept Medal of Honor News up-to-date. 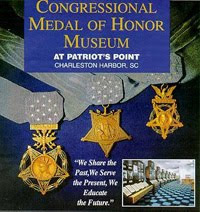 MoH News even became a valid source for major newspapers like the New York Times and with visits from the White House. My Dad was a humble hero in my eyes, never bringing attention to himself. It was always about others, always about helping them and helping in a large way, not just one person at a time, but as many people as possible at once. It makes sense why he worked in government and in education. Dad never gave up on something he believed in and behind his intensity was a great desire to help people have better lives and a deep compassion for mankind. I will miss his guidance through this maze of life, his wholehearted dedication and sincerity and those special moments of complete and utter acceptance and understanding that always took me by surprise. When I asked him if there was anything else I could do for him in the end, his last words to me were, "It's time to go. Don't pull any punches." That's my Pop....right to the point. I will truly miss you.